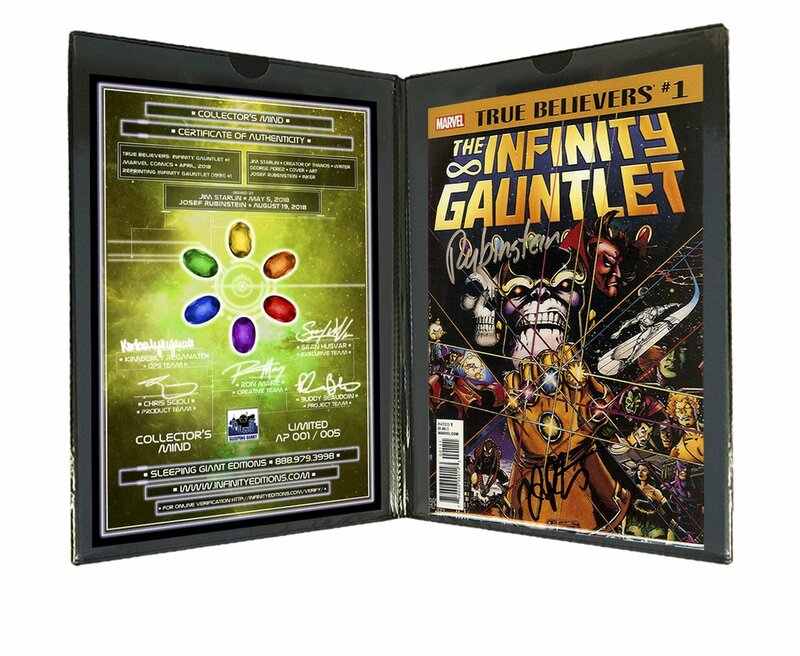 The grand cosmic architects of the universe unite to release the new Infinity Editions line, featuring autographs as well as innovative, pristine packaging from Jim Starlin, Ron Marz and more. Infinity Editions comes from Sleeping Giant Collectibles and features copies of comics such as Thanos #17, Infinity Gauntlet, Infinity Wars, Silver Surfer #50 and more all signed by industry legends also including Donny Cates and Mike Zeck. Check out Infinity Editions for the full list of comics available. 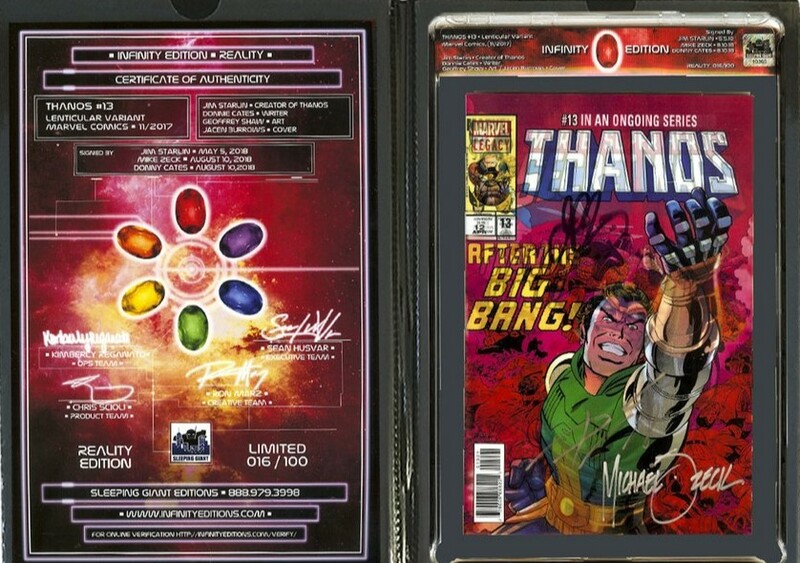 The Infinity Edition's Reality (Red) offering is a copy of Thanos #13 (2017), featuring a lenticular Secret Wars homage variant cover by artist Jacen Burrows, based on the classic original image by acclaimed artist Mike Zeck. 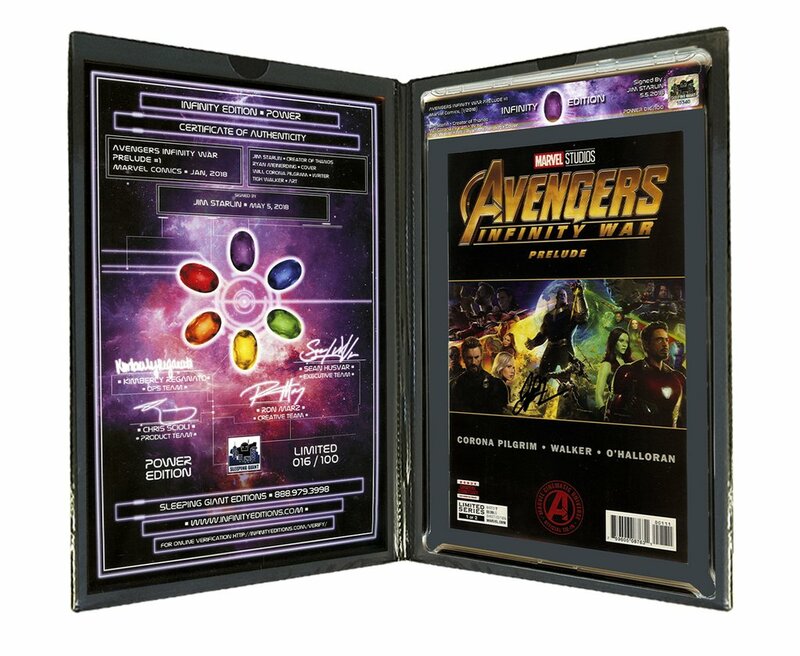 The edition is hand-signed by Thanos creator and cosmic legend Jim Starlin, Thanos writer and rising superstar Donny Cates, and original Secret Wars artist Mike Zeck. All signatures were witnessed by a Sleeping Giant representative. The Infinity Edition Reality (Red) is strictly limited to 100 copies, so once they're gone, they're gone! 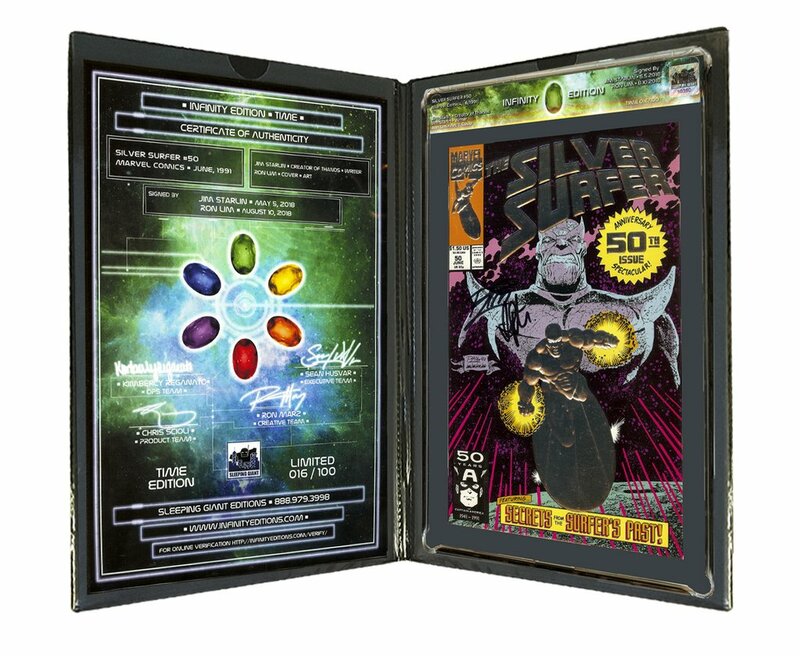 Housed in a handsome portfolio with a certificate of authenticity and a CGC-sized Vault System case that can be opened and then re-sealed, the Infinity Edition is priced at $149 MSRP.